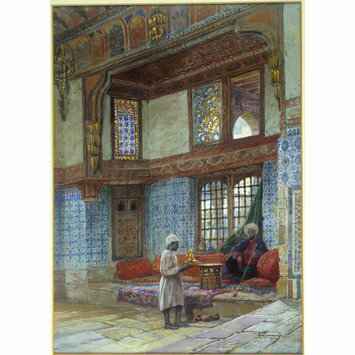 Frank Dillon, 'Recess in the reception room in the house of the Mufti Sheikh el Mahadi, Cairo', watercolour. 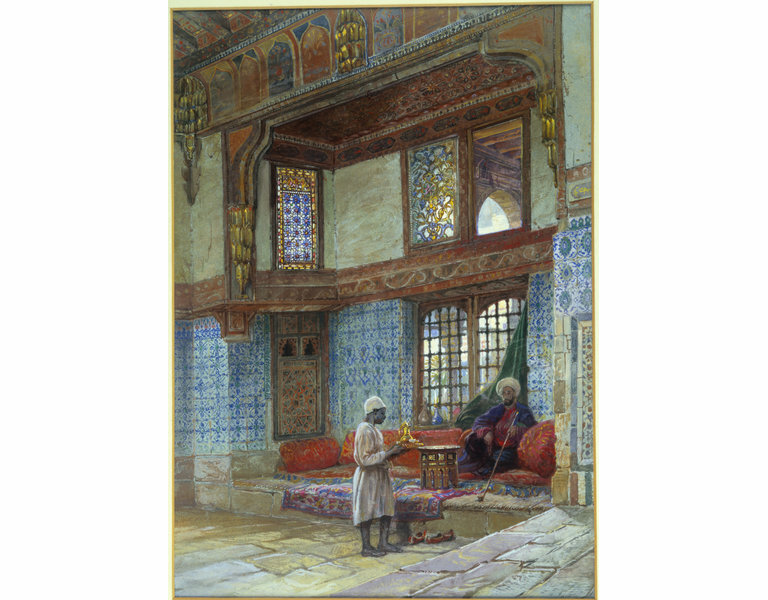 Nicholas Tromans ed., The Lure of the East. 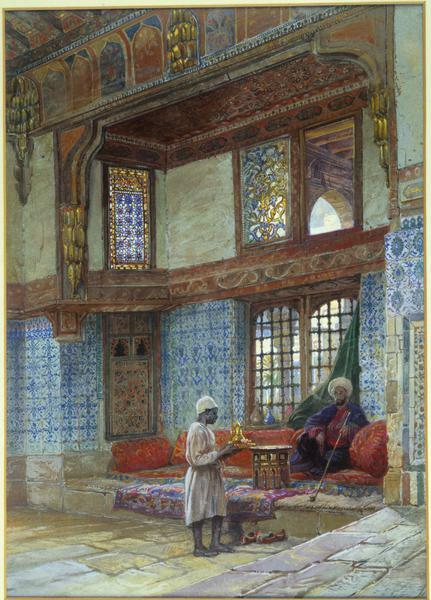 British Orientalist Painting London: Tate Publishing, 2008. ISBN: 978 1 85437 733 3.